You can create new Office documents directly from OneDrive for Business. You'll need Office Web Apps Server to see the New menu. Otherwise, it's a Folder icon. Not sure where to create your document? See Should I save my documents to OneDrive for Business or a team site? Select New, and then choose the type of document you want to create, such as Word, Excel, or PowerPoint. The new document opens in the Office Online program you selected. For example, selecting Word document opens Word Online. Tip: There's no save button, because the document is saved for you automatically. To rename the document, click its name in the title bar, type the new name you want, and then press ENTER. When you’re done and you want to go back to where the file is saved, click your name, next to the file name. Tip: If you want access to all app features, you can switch to the full Office app. For example, in Word Online, click Open in Word to continue working on the document in Word. You can also start in an Office desktop app, such as Word, Excel, or PowerPoint, and create and save a document straight to OneDrive for Business. Start a document as usual in an Office desktop app (File > New, and pick a template). 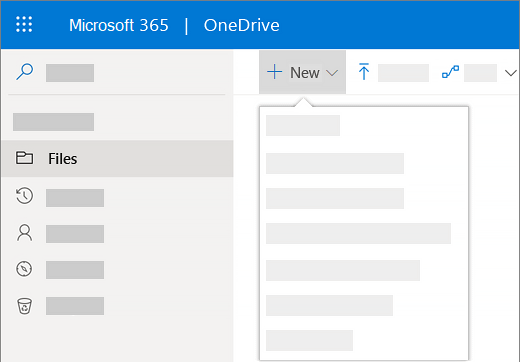 When you're ready to save the document, click File > Save As > OneDrive - YourCompanyName. For example, OneDrive - Contoso. Give the file a name, and then click Save. 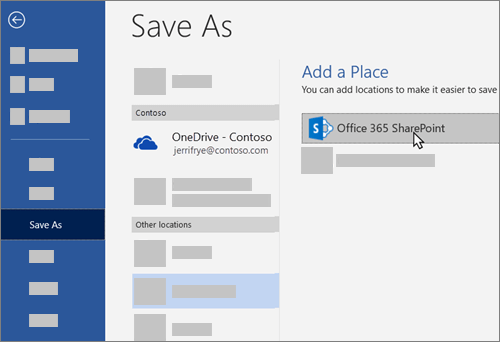 If you don't see OneDrive - YourCompanyName, click Add a Place > Office 365 SharePoint. Then sign in to Office 365 with your work or school account. 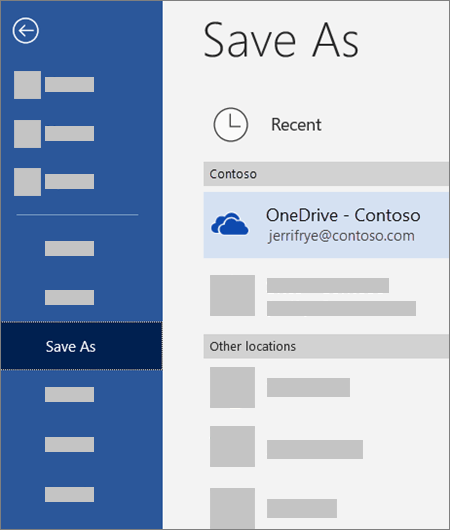 Once you add OneDrive for Business as a place in one Office app, you can save files from all your Office apps. If you’re signed in to Office 365, and your subscription includes Office, you can install the latest version of the desktop apps. At the top of the page in Office 365, go to Settings > Office 365 Settings > Software.